Efficient, no-nonsense irons with the steam performance you demand. 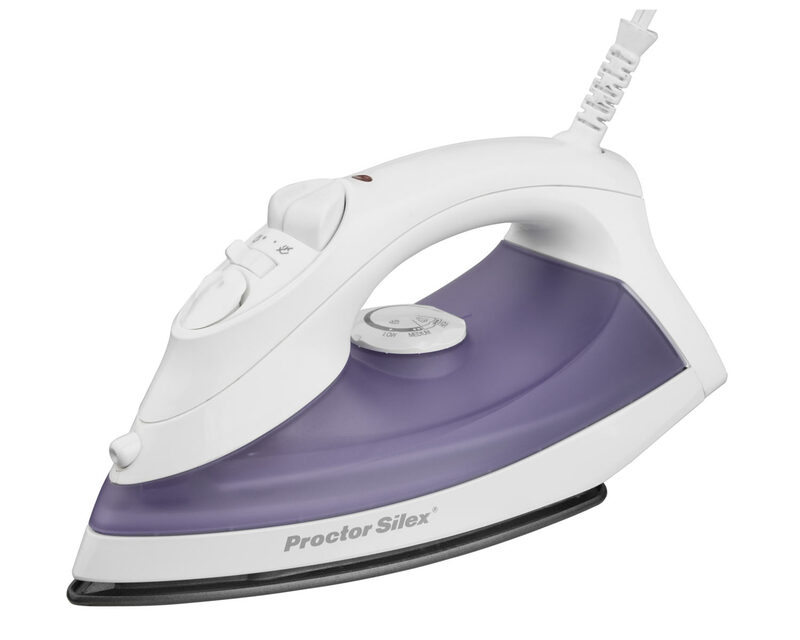 When you need excellent performance for fast and effective ironing, Proctor Silex® steam irons deliver. All irons made by Proctor Silex® are built for efficiency and are powerful enough to smooth away the most stubborn wrinkles — making ironing quick and easy every time. Proctor Silex® irons are lightweight, yet built to last. Functions such as nonstick soleplates, temperature control dials, and automatic shutoff make taking care of clothes easy. Regardless of your lifestyle, you can find a compact and functional iron with the powerful steam and features you prefer.